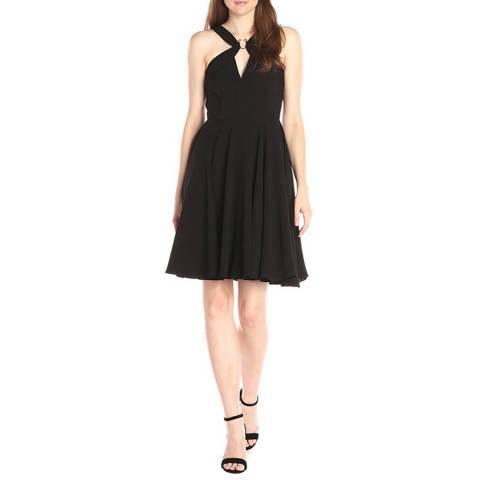 Flirty crepe dress with cross neck detail linked with C ring hardware at the front. Back zip hook and eye above zipper. Colour: Black.